30 Things About My Invisible Illness You May Not Know! Back in September, 2010, I wrote a post about how Fibromyaglia changed my life. I thought it would be fun to see how things are going since then. I was diagnosed with it: I was diagnosed with fibro over 15 years ago when I was in my teens. The biggest adjustment I’ve had to make is: Not caring about what people think or say – It’s their problem if they don’t understand. Most people assume: I am lazy or just don’t want to do anything. The hardest part about mornings are: Getting up because no matter what time I go to sleep, I wake up feeling like I got no sleep. Unfortunately, I can’t just lay around in bed until I feel better because I now have a 2 1/2 year old. If I had to choose between an invisible illness or visible I would choose: Neither! But, for the sake of this question, I’ll say invisible. I don’t want my medical issues to be the focus of who I am. The hardest thing to accept about my new reality has been: That some days, no matter how hard I fight, I still need help and that I can’t do everything. I am a control freak! 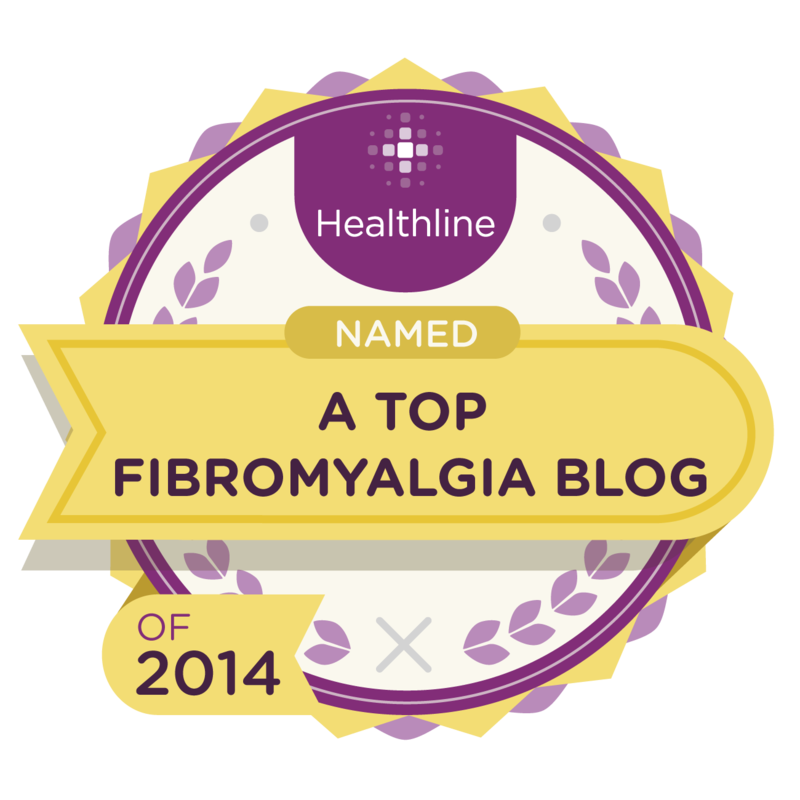 Something I never thought I could do with my illness that I did was: Start a blog and try to help people who suffer from this disease or help people that want to learn more about Fibro. The commercials about my illness: Are ok. I wish they would use younger people some time because it does affect us as well as older people. Something I really miss doing since I was diagnosed is: Have energy to be more active. If I could have one day of feeling normal again I would: Get so much done! My illness has taught me: Too many things to list! Patience, compassion, and understanding and that some people just don’t care and don’t want to take the time to learn. You know who your true friends are. Want to know a secret? I hate when people give me attitude because I may not be able to do something. But I love it when people: Take the time to learn about fibro and just call to see how I am doing. My favorite motto, scripture, quote that gets me through tough times is: Kill them with kindness. When someone is diagnosed I’d like to tell them: I am here to help you get through it. The nicest thing someone did for me when I wasn’t feeling well was: my husband will cook me dinner. I’m involved with Invisible Illness Week because: It’s my personal mission to help others who live with these conditions live a better life as well as educate. The fact that you read this list makes me feel: Awesome beyond belief. Please do this list yourself and comment on this post. Makes you think.